If the story of Paul Bunyan had been a Jewish story, say, a story about Pinchas Bunstein, it would have been known as a Bubba Meisa. Bubba Meisas are legends. Some probably have a kernel of truth, but have been enhanced and embellished through the years to a point that they make for great storytelling, but wouldn't stand up for long in a historical court. Others are stories which are more soundly based on historical fact, but have been spun into story-form in order to make them more interesting. Buba Meisas form a great part of Jewish tradition, and anyone who wants to understand Jewish history and the history of the Jewish people must pay close attention to the thousands of Bubba Meisas which have persevered throughout the ages. In Tzfat, with its reputation as the City of Mysticism, this is doubly true. Bubba Meisas abounds. Some stories are well-known because they're the bread and butter of most guided tours of Tzfat - Rabbi Yosef Caro sat with a Maggid, an angel, in the room below the present Caro synagogue to write the famous 16th century Code of Jewish Law; the Davidka rescued Tzfat during the War of Independence; the Rabbi at the Avritch/Bat Ayin synagogue saved his congregation during an earthquake by foreseeing where it would be safe to stand; and others. Yet few guides know most of the real Buba Meisas of Tzfat. There are dozens, even hundreds of Tzfat folklore which not only provide an understanding of this spiritual and historical Jewish center, but also give one a more intimate feel and understanding of what Tzfat is all about. Haim Sidor is a veteran tour guide of Israel, specializing in the North, and more specifically, Tzfat. Any group that tours with Haim knows that their tour of Tzfat will occupy a good chunk of their day in Northern Israel, and that they will see and hear things that most other visitors do not. At one time Haim lived in Tzfat, and his heart is still in there.....he is well-known in Tzfat for his work in mapping out the tombstones in the Old Tzfat Cemetery. He leads his groups through the Old City, seeing the same sites as other tourists, but hearing, along with the historical facts, the Buba Meisas of Tzfat which make Tzfat come alive. Haim imbues his tours with the Buba Meisas about the great Rabbis of Tzfat, the destructions and rebuilding caused by earthquakes, and folklore surrounding great historical events. He also tells the stories about the simple people of Tzfat and how they lived together, coped together, and built Tzfat together. 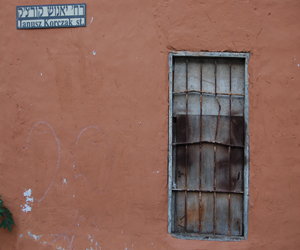 Haim can be seen often in Tzfat, walking through the old alleys and lanes of the city as he tells his stories in an animated manner which allow his visitors to not only hear the stories, but to connect to the people and the city in the sort of intimate way which is not open to all.